Tired of having so many phones and tablets lying around the living room or kitchen? Not enough plug sockets to charge them all? 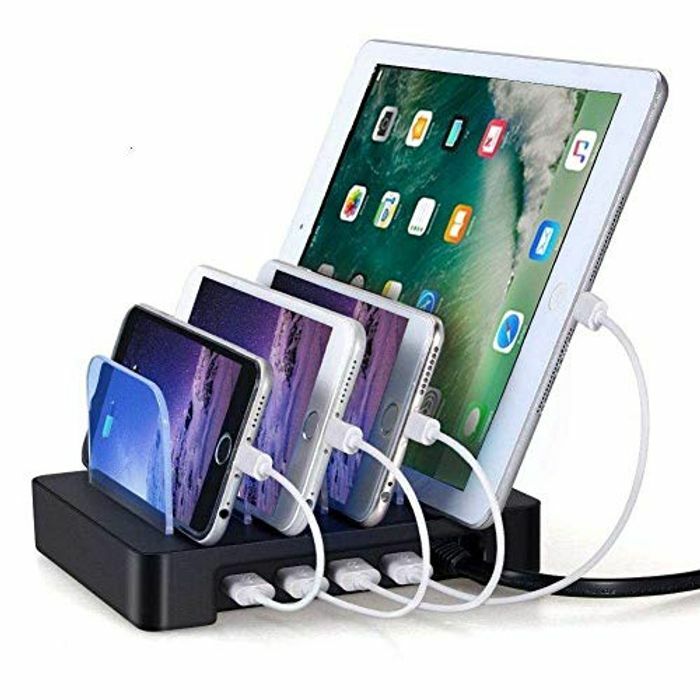 This is a stand where you can rest up to four devices. You just need the cables. Use the discount code at checkout to drop the price from £24.98 to £9.99. Ordered this what a great price although seems to be coming from abroad as 3-4 weeks to get here. Nonetheless I hope it will be worth the wait.